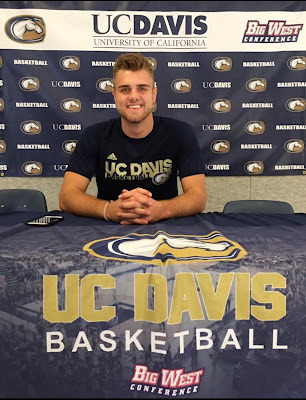 Banners.com printed a custom vinyl banner and flag for Logan for his official signing day to UC Davis. They used the step and repeat banner as a backdrop for photos. 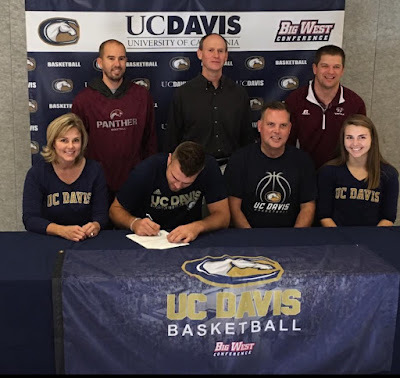 The flag was displayed on the table where he signed the contract. Thank you so much for sharing your photos with us! 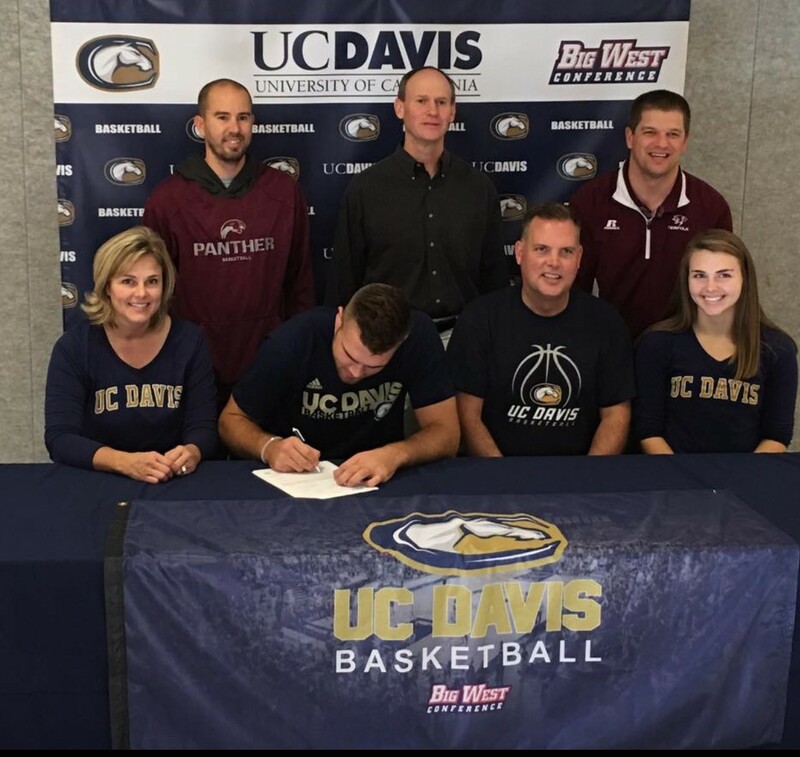 Congratulations to Logan on signing with UC Davis! If you need a custom banner printed, visit our vinyl banners page. We also have custom printed flags. You can customize a template in our online designer, upload your own artwork file, or work with one of our graphic designers.